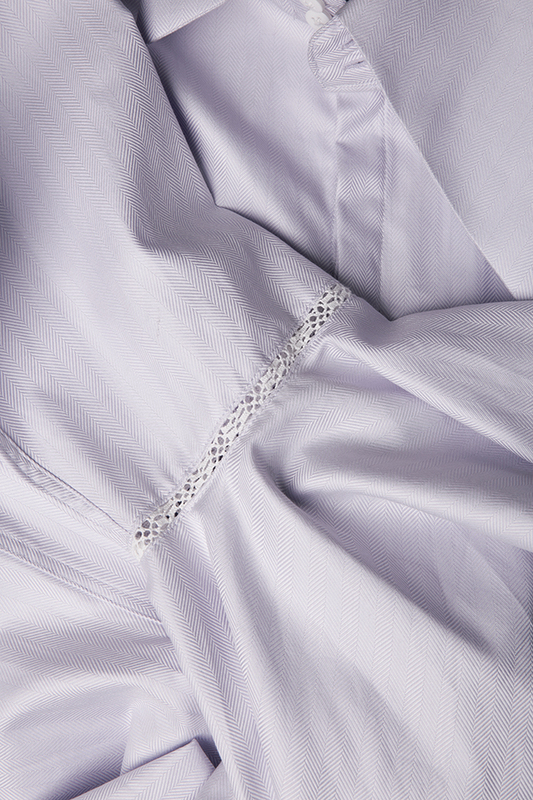 Dorin Negrau's lavander cotton shirt is designed with asymmetric front and sleeves. We like the elegant wide sleeves defined by cascading ruffles at the cuffs, and the crochet cotton lace inserts - a key trend right now. 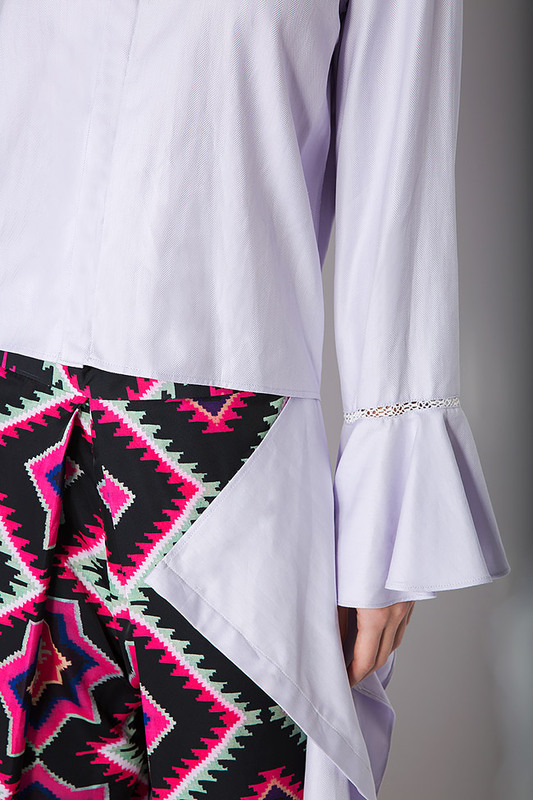 Team yours with pants or lace sikirts and black sandals.